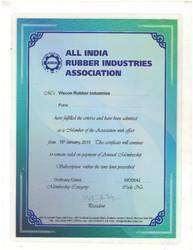 Established back in the year 1998, VISCON RUBBER INDUSTRIES, we are engaged in the business of manufacturer, exporter and supplier a varied range of Rubber Components such as Rubber Products, Industrial Gaskets and Rubber Hoses. The collection is garnered with features such as high flexibility, compression absorption, oil resistance, perfect tensile strength and suitable hardness. Prior to its dispatch at client end, the finished products are quality tested following various tests including rheometer and micro - hardness testing, tensile testing, water absorptions test, ash content and specific gravity test. All our products are developed in our manufacturing unit which includes latest and efficacious machines. The company was founded by Mr. Sanjay Kadlag who has done M.Sc. in Chemistry. His rich industry experience and domain expertise help us in meeting the industry standards and offering the clients best quality products as per their specific demands. Only high quality polymers procured from Europe and domestic markets are used to process our range. 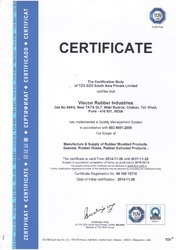 Manufacturing and Trading of Rubber Components. In addition, these products are also widely appreciated for its excellent performance in dairy equipments, chemical, distillery, brewery ethanol plants, equipments and machineries of chemical plant, hydraulic systems, automotive wiring harness, automotive seating systems, automotive air & oil filters, genset & canopy and material handling machinery. 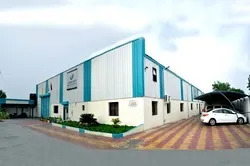 We are backed by dedicated and efficient workforce that helps us in achieving our goals to provide best quality products and 100% customer satisfaction. They work hard for producing technical up graded products to achieve our desired results. Our rubber technologists support our esteemed clients in selecting proper polymers and compounds. Team of quality inspectors strictly supervises every stage of production process to ensure quality of the entire range at par with global standards. With our efforts to achieve utmost customer satisfaction, we have built a wide client base. 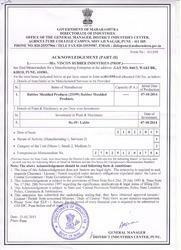 We provide customized solutions and package consignments as per the customer specification. Our company serves a huge client network in Maharashtra due to the excellent quality of our range and prompt delivery with lead time of 24 Hrs. Entire assortment of rubber component and gaskets is fabricated to meet the varied needs of our clients. With proficiency and dedication of our team constantly, we work towards improving the quality and finish of our range. We provide easy mode of payments to our esteemed clients such as money transfer through bank, cash and demand draft. Faurecia Interior Systems India Pvt Ltd.